This week I am in Brisbane for the @EduTech_AU (EduTECHAU) conference. It makes a change to have such a large and reputable event less than a 2-hour drive from home (no flights!). I am most curious about this event as there is a lot of buzz, thousands of Australian educators and many well-known international speakers coming in. I am not speaking, but have been invited on by Microsoft to interact and be a vocal participant in round table events. Yesterday a small group of us gathered at Ormiston College for a school visit - EduTECH Media Tour. (Because I am here with a 'media' label I have been asked on more than one occasion what I know about education - I am handing out business cards to provide context). The program organised by leaders at Ormiston was most impressive. We visited classes in Year 1, 5, 8 and then a student showcase. We had teacher 'ignite' talks and then a staff panel to answer our questions. 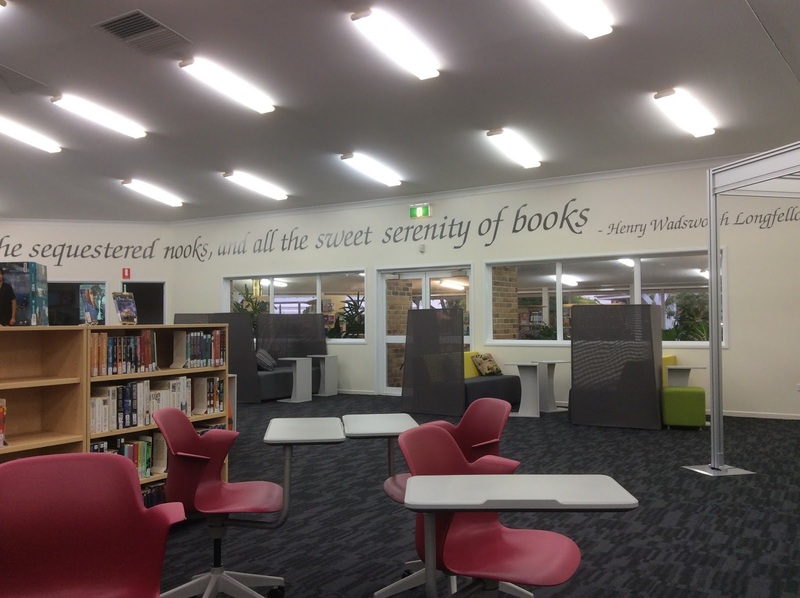 The latter showcase and staff activities were held in the most beautiful 'Learning Innovation Centre' (LIC) (re-designed library space) where facilities are provided for small group, large group, private and more public gatherings - all supported by access to screens, audio, white boards etc. Ormiston, a K-12 non-denominational Christian ethos school with about 1300 students is led by Brett Webster who has a passion for learning enabled technology and a vision for the school that supports many initiatives across the curriculum. The Dean for E-Learning, Tamara Sullivan (@t_amarasullivan) is confidently vocal about what teachers are doing to embrace 21C teaching and learning through online collaboration. 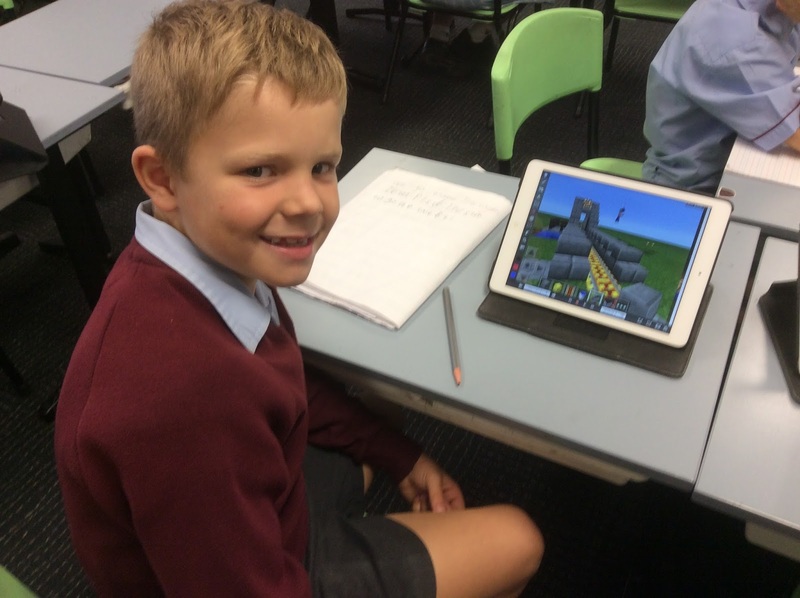 Students collaborating via Minecraft to build landmarks and then using this for creative writing. This student below, Bo, was very passionate about his bridge and pointed to his friends in MC with him - and they help each other to complete the project. This small group were 'fishing for feedback' on their work, using the features of Office Mix to provide text and audio-based peer feedback. 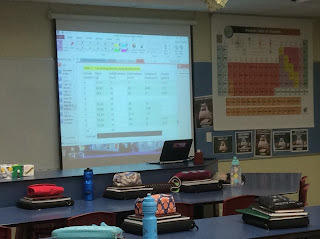 This class were collaborating on a science problem - the volume of a particular cube, and working in real teams to collect data then share this via a collaborative online space (OneNote). 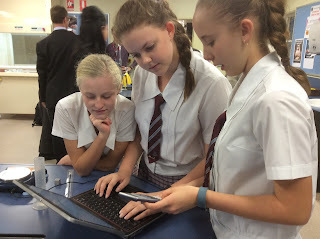 The girls I spoke to were able to clearly articulate what they were doing and how the technology supported this learning process and were also very enthusiastic about having access to laptops and online spaces bith from school and from home. Ormiston provides resources and funding for innovation in learning, and teachers leading this shared their work with us. 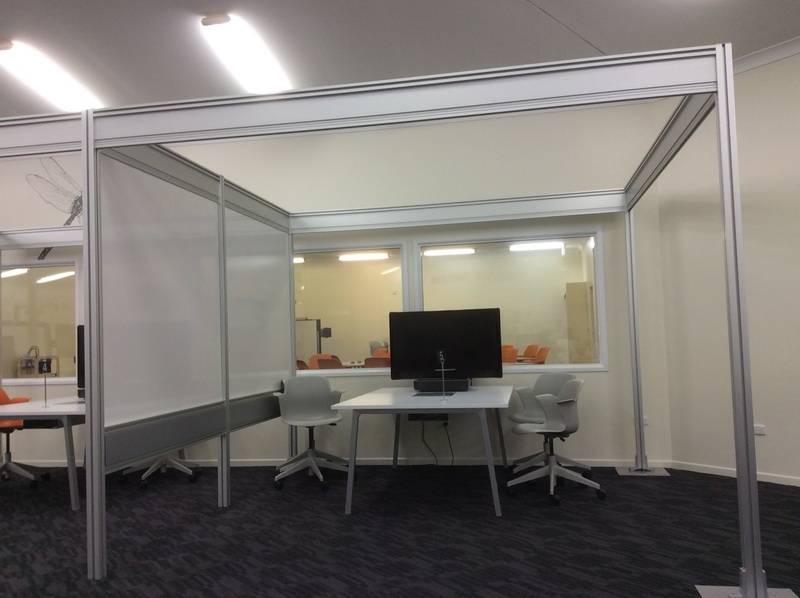 This included new approaches to professional development (anywhere, anytime, blended); using Yammer to develop a community of practice amongst the staff; and using Office 365 and Mosaic for staff collaboration. The term '21st century learning and teaching' was used a lot....the leader of the LIC used the term 'social capitol' and shared how teachers are now coming on board with social learning within the school - sharing, supporting, being visible and modeling this in their own learning so that it can more naturally be 'transferred' to the students. 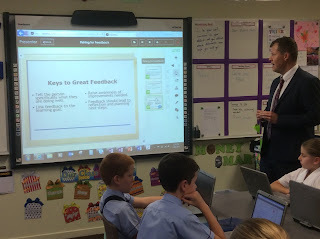 I was most impressed that many students had taken the time to share their use of technology to support learning. The one showcase that stood out for me was Grade 12 students sharing how they used Skype for Business for accelerated learning in mathematics. Every Monday evening they had been meeting their teacher online and subsequently were now ahead in the course and could consider extension activities (eg a local university course etc.). Overall the work being done at Ormiston is showing us that effective and reliable technologies do support online collaborative learning. 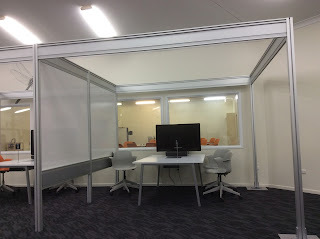 Platforms have been set up, students have public and private spaces to work alone and in collaboration, they are connected with each other and the teachers online and co-creation, peer-review and problem-solving are effectively documented and shared. It is early days yet for Ormiston College in terms of online collaborative learning, and my question to the panel about conversations for taking the learning more global showed this has not been a real focus yet, as with the use of social media or probably other Web 2.0 tools that can provide choices and freedoms for further sharing and collaboration within and beyond the school. However, the community building taking place and the digital fluency that is being built amongst all learners is commendable and I thoroughly enjoyed the opportunity to see the school in action.